BIRMINGHAM — At the township supervisors meeting on Monday night, representatives from the Chester County Historical Commission discussed the simplification of a long-standing process. Other than approvals of a resident enlarging his deck, the township renewing an franchise agreement with Comcast, and a permit to build a new fence around a local school, the meeting consisted of a discussion between the township Board of Supervisors and members of the Chester County Historical Commission. After requesting that the township renew its commitment to the Historical Society and donate $500, Historical Commission member Mark Gross addressed the problem with obtaining permits to build or alter historical buildings and land. In the township, there are two commissions with similar goals of protecting historical structures. The Historical Architectural Review Board (HARB) must review and approve any requests to build or alter buildings located on the historical district, or specifically Birmingham Road. The Historical Commission must review and approve any requests to alter any historical structure in the township. The issue at hand concerns residents who need permits from both commissions. If a historical structure lies within the historical district, any changes must be approved by HARB as well as The Historical Commission. Receiving approval from both commissions has been known to take a long time; therefore, the township wishes to organize a way for both commissions to meet at the same time if both approvals are needed. “The whole purpose of the process is to make it easy for a resident to get approval,” said Gross. “[A resident] should only have to go to one meeting,” he added. Supervisor Alfred Bush expressed his concern of getting both commissions together for one meeting. He questioned whether both would need to advertise a new time and place for a joint meeting, and how efficiently that would notify the public. In addition to difficulty of planning a meeting, Supervisors chair John Conklin explained that the ordinances controlling the two commissions are not the same, which would complicate the process of getting approval from both commissions at the same time. “The way the ordinances are written now, we’d have to change the law,” Conklin said. The supervisors did not resolve the issue, but major topics were addressed. Conklin also added that the township cannot forget the rights of the applicants as they work to develop a new process. 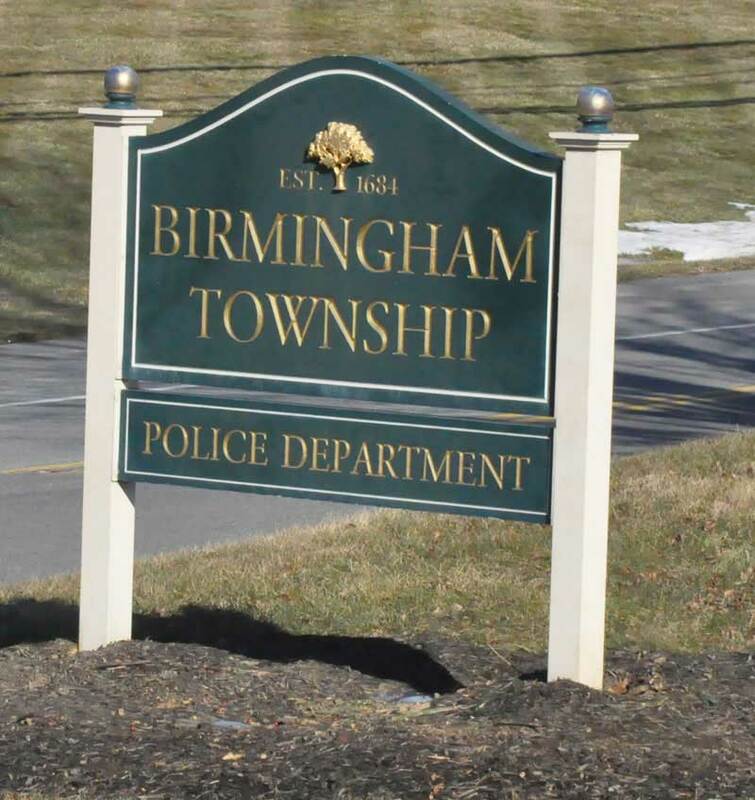 The last topic of discussion was of future plans to build “Welcome to Birmingham Township” signs. Roach informed the supervisors that The Historical Society would like to place three to four signs around the township. They have not decided on the locations, content or cost of the signs yet, but wanted to run the idea by the board before they made the formal proposal. Both supervisors thought the idea was good and didn’t think there would be any problems.